Includes coverage of House of Frankenstein, David Manners and Roddy McDowall. 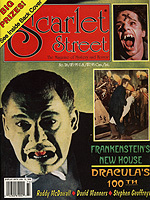 Includes coverage of Forrest J Ackerman, Jane Adams, Jack the Ripper and Sherlock Holmes. Includes coverage of Johnny Depp, Norma Eberhardt and The Return of Dracula. 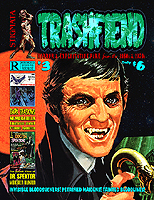 Includes coverage of Dr. Cyclops, Kathleen Freeman, Godzilla, and Edward D. Wood, Jr.
Includes coverage of The Four Skulls of Jonathan Drake, Dark Shadows and Robert Quarry. 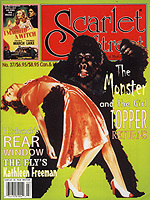 Includes coverage of John Agar, David Allen and The She-Creature. 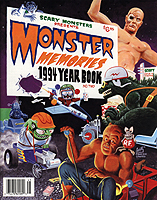 Includes coverage of Godzilla, monster hot rods, horror hosts and dinosaur films. Includes a rare promo only card (#2) for horror host Son of Ghoul. 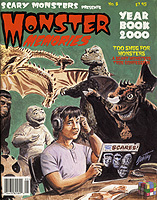 Includes coverage of Aurora model kits, William Castle, Jim Danforth and Godzilla. Includes coverage of Marilyn Chambers, Julianna Masterson, Debbie Rochon and splatter music. 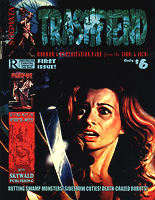 Includes coverage of Wes Craven, Debbie Rochon, John Russo and Julie Wallace. Magazine is Near Mint Minus. Includes coverage of Frankenstein and Me, T.H. Pine. Bob Tinnell and Melissa Wolf. 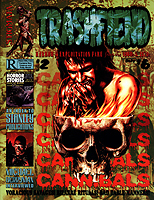 Includes coverage of Ginger Lynn Allen, Dorian Cleavenger, Scott Vladimir Licina and De De Lind. 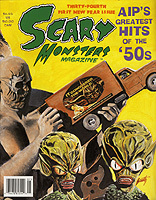 Includes coverage of Rick Baker, Scott Barnett, Kym Malin and John Russo. 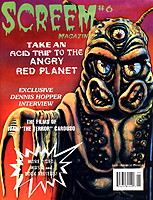 Includes coverage of Angry Red Planet, Dennis Hopper and Ivan Cardoso. 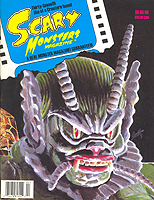 Includes coverage of A Nightmare on Elm Street, ninja cinema and Ultraman. 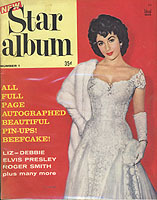 Elvis Presley, Elizabeth Taylor, Lana Turner, Natalie Wood and 46 other film amd TV stars. Cover art by Morris Scott Dollens. 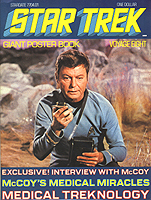 Includes interviews with James Doohan and Leonard Nimoy. 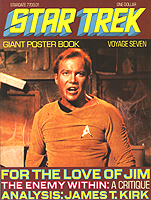 Fold-out poster magazine for the cult television series featuring articles and color photos. 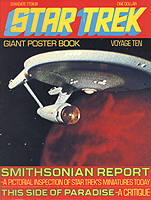 Includes coverage of Battlestar Galactica, Dr. Strange and Invasion of the Body Snatchers. 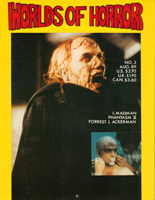 Includes coverage of The Incredible Melting Man, Rick Baker, The Prisoner and Quark. 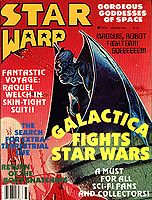 Includes coverage on Skywald Publishing and independent horror of the 1960s and 1970s. Includes coverage on Stanley Publishing and cannibal films of the 1960s and 1970s. 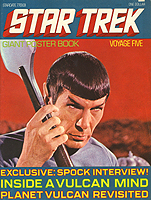 Includes coverage on Dark Shadows memorabilia and Dr. Spektor. Signed copy is available at no extra cost. Softcover Trade. Illustrated. 324 pages. SRP: $19.95. Signed copy available at no extra cost. Softcover. Illustrated. 80 pages. SRP: $9.95. Includes "The Unpredictable Marilyn Monroe" and "Ann Marlowe: Miracle Maker." 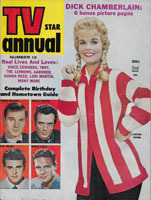 Includes coverage of John Ashley and Elvis Presley. 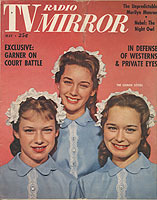 Includes coverage of Bruce Jay Friedman, H.P. Lovecraft and Gahan Wilson. 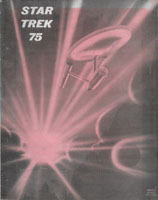 Cover art by J.K. Potter. Includes coverage of Stephen King, Dean R. Koontz and The Twilight Zone. Includes contributions from David S. Schow, John Skipp and Craig Spector. Maazine is Very Fine Minus. 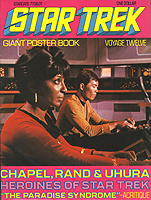 Cover art by Marc Yankus. 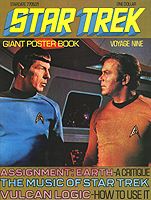 Includes coverage of Harlan Ellison and The Twilight Zone. 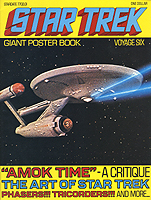 Includes contributions from Harlan Ellison, Joe R. Landsdale, J.K. Potter and Donald E. Westlake. Includes coverage on Kenneth Anger, Jean Rollin and Tura Satana. Includes coverage on the Blue Demon, Kitten Natividad and John Saxon. 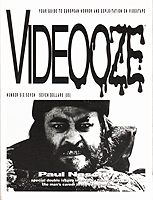 Special double-size issue devoted entirely to Jacinto Molina Alvarez aka Paul Naschy. 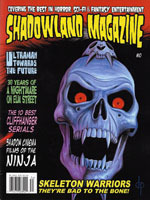 Includes coverage of Forrest J Ackerman, I, Madman, Phantasm II and Angus Scrimm.